DUI Checkpoint Video Goes Viral – US Constitution violated by police officers. DUI violations are serious charges and DUI lawyers are expensive. But what do you think about this young man? According to the US Constitution he is being bullied by the police officers for no reason. A young driver recorded this stop at a Tennessee July 4th DUI checkpoint. 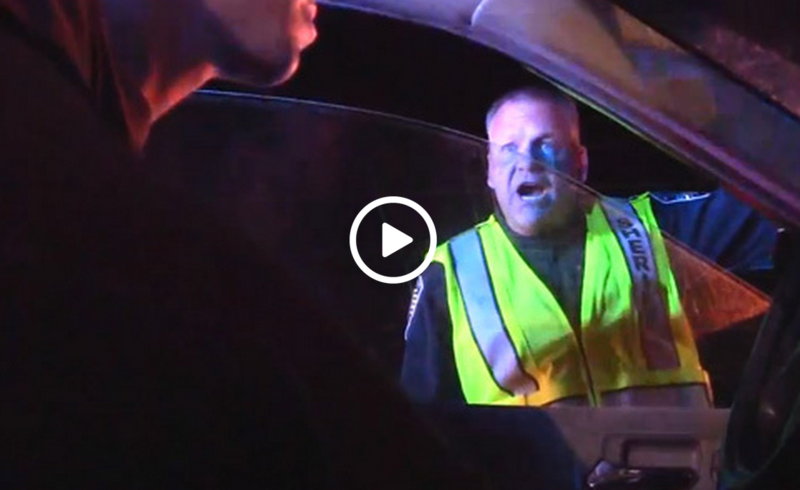 This DUI Checkpoint Video Goes Viral when uploaded to YouTube. He was asked by the police officer if he was a lawyer due to the questions the driver was asking. The police officer was aware the driver knew the basic US Constitutional rights. Many say his rights were violated at this DUI checkpoint, while others believe stops like this one help prevent major drunk driving accidents that cause deaths on our roadways. Does this video upset you at all? Obviously some police officers will do whatever they want to do even if it is outside the law.